Chinese politics from the provinces: Is The Fight Against Corruption Also A Struggle Between Two Cities? Is The Fight Against Corruption Also A Struggle Between Two Cities? There’s another sign today that relations between at least some in the Nanjing government and the central leadership in Beijing may not be especially friendly. Nanjing Daily—the local version of People’s Daily--ran a commentary in today’s issue about the need to have “zero tolerance towards micro-corruption”—that is, small-scale or grassroots graft that’s taken advantage of government policies to assist the indigent and pocketed money that was allocated for villagers. For example, in one village in central China, according to the commentary, 42 residents received a grant of 440,000 RMB to support a tea plantation of some 222 hectares. But the villagers ended up getting 200 RMB per household and the project never got underway. In a county in Shaanxi, the village head insisted that each resident donate 500 RMB as a commission to even be considered for the subsidies that were to be distributed, while another county-level official elsewhere insisted on being reimbursed for travel expenses out of the poverty alleviation funds. The commentary condemns the corruption, of course; it argues that the psychological impact on villagers’ view of the government is an even greater loss than the considerable financial harm that’s done to those who can least afford it. But what’s notable is that this editorial only ran in Nanjing Daily and the website of the Worker’s Daily. There’s no indication that the commentary was reprinted elsewhere, at least for now; it certainly wasn't widely distributed—which is unusual, because denunciations of corruption are typically circulated extensively. The reason very likely has to do with the high profile of the poverty alleviation campaign and its close association with President Xi Jinping. While springtime here in China saw many international observers and commentators talking about Beijing’s purported interest in pushing forward major economic reform and financial openness, People’s Daily was saying nothing of the sort, instead emphasizing the commitment of the central leadership to poverty relief. Xi and his allies are very clearly devoted to the program, and they take any criticism of its implementation as a political attack in disguise. 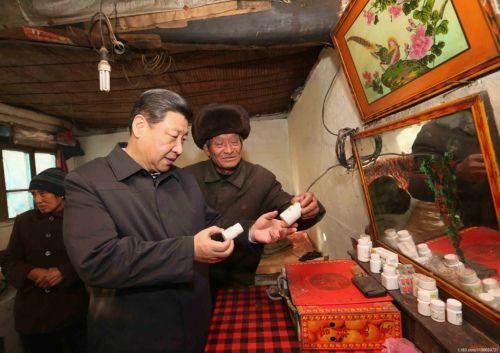 This isn’t the first time that corruption in Beijing’s poverty alleviation campaign has been mentioned, though previous references have been about specific instances or provinces. But this editorial is different: more general, more scornful, and more directly aimed at the problems with the program. That Nanjing Daily carried it while others chose not to points to at least someone here having a lot of conviction and not a little political cover to voice their frustration--frustration with perhaps more than just some thefts of government funds far away.